Between the economic downturn and the skyrocketing costs of gasoline, solar farming has increasingly become a practical alternative across the United States for small and large businesses alike. In early April of this year, hundreds gathered in Memphis for the dedication of a 1-megawatt solar farm. Roughly 45 miles to the northeast, in nearby Stanton, a solar generating facility formally opened up in January, with more than 21,000 panels and the capacity to produce 5 megawatts -- enough electricity to power 500 homes for a year. 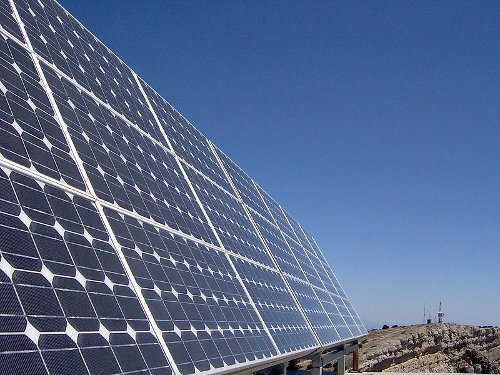 Tennessee moved to 15th place in solar energy production in 2011, up five spots from 2010. Currently, about 6,5000 Tennesseans are employed in the solar energy industry, which is made up mostly of small businesses. Of the 180 companies based in Tennessee that deal in solar energy products, 78 percent employ fewer than 100 workers. In other states, such as New Jersey, solar farms are also on the rise, albeit driven by larger businesses. Utility companies have developed some of the larger solar farms in the state. For example, the Public Service Electric and Gas Company is currently in the process of building solar farms in Hamilton, Edison, Linden, and Trenton. One of the largest solar farms in the nation was proposed by Panda Power Funds of Dallas and Con Edison Development, a subsidiary of Consolidated Edison of New York, with the capacity to produce 20 megawatts on about 100 acres of former farmland in southern New Jersey. Still, for the most part, solar production remains relatively low-scale, though definitely on the incline, largely driven by gas prices and a more challenging economy. While solar farms may not be able to take care of all our immediate energy needs, it is definitely a more sustainable, environmentally-friendly method of producing electricity, fully deserving of further technological exploration and development. Jonathan is a freelance writer and blogger residing in upstate New York.